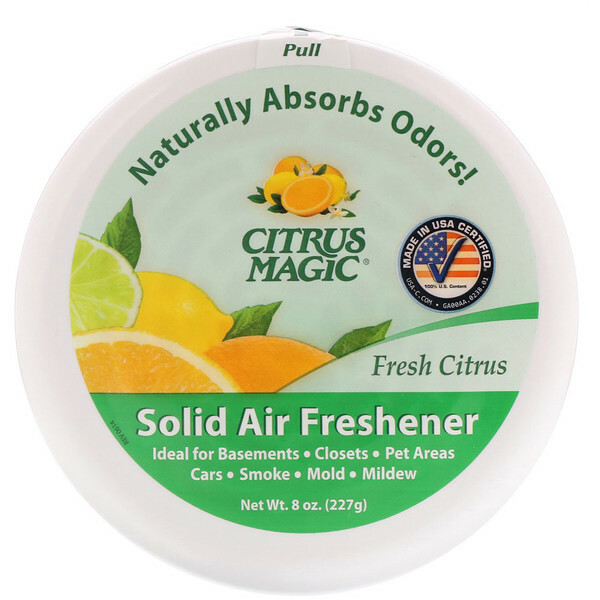 Citrus Magic Solid Air Fresheners magically absorbs bad odors and freshens the air... Naturally! 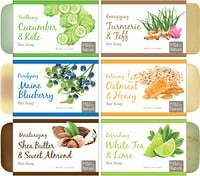 Our unique formula uses baking soda increasing its odor absorbing power. 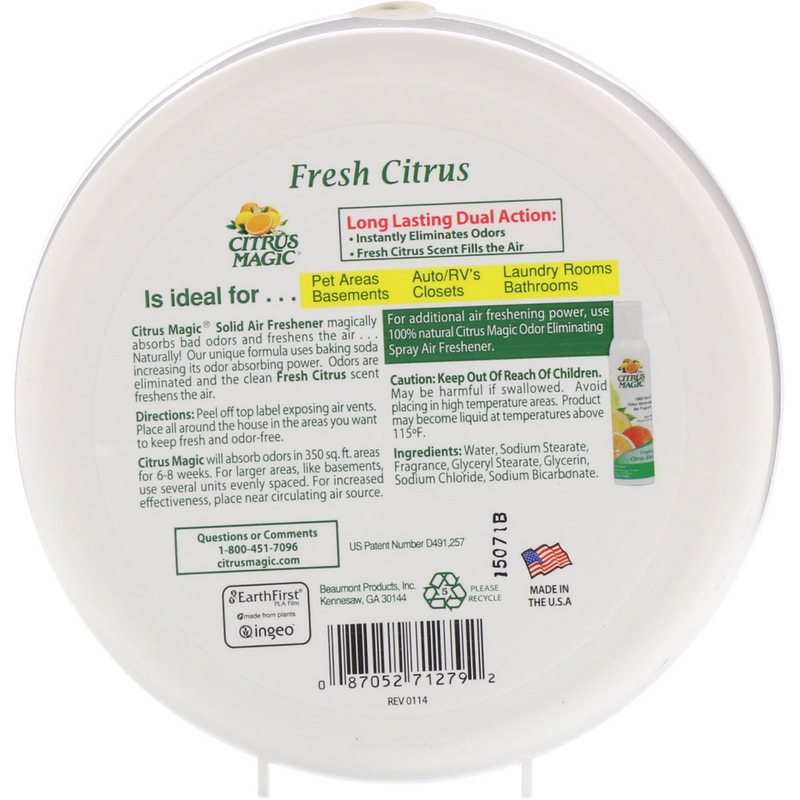 Odors are eliminated and the clean Fresh Citrus scent freshens the air. Peel off top label exposing air vents. Place all around the house in the areas you want to keep fresh and odor-free. 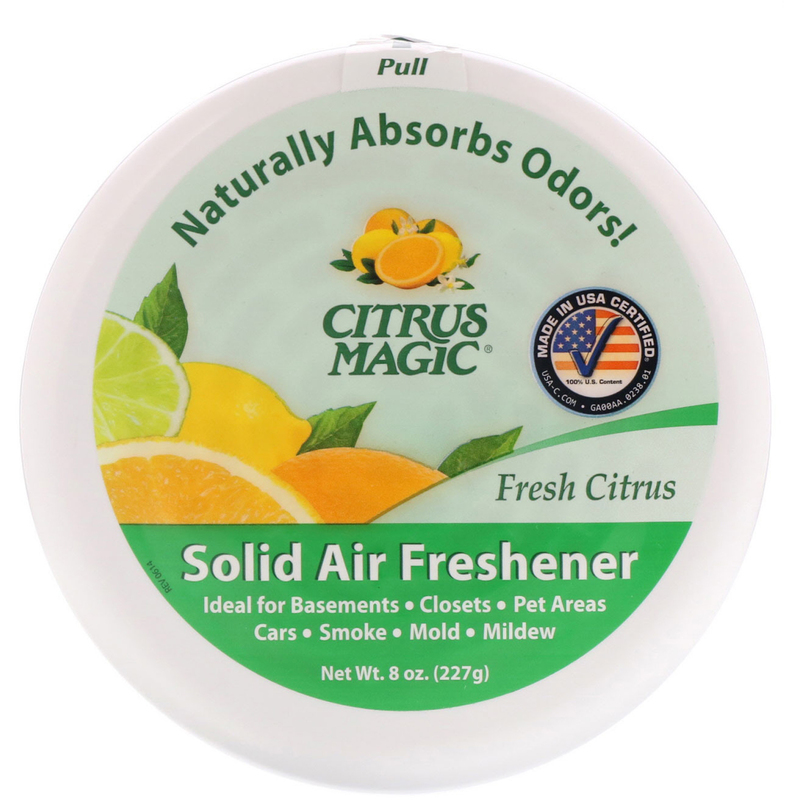 Citrus Magic will absorb odors in 350 sq ft areas for 6-8 weeks. For larger areas, like basements, use several units evenly spaced. For increased effectiveness, place near circulating air source. Water, sodium stearate, fragrance, glyceryl stearate, glycerin, sodium chloride, sodium bicarbonate. Caution: Keep out of reach of children. May be harmful if swallowed. Avoid placing in high temperature areas. Product may become liquid at temperatures above 115ºF.